Human rights defenders Chen Jianfang (陈建芳) and Li Xiaoling (李小玲) have been named the co-recipients of the fourth Cao Shunli Memorial Award for Human Rights Defenders. The two women defenders are recognized for their contributions in promoting human rights at the grassroots level in China. 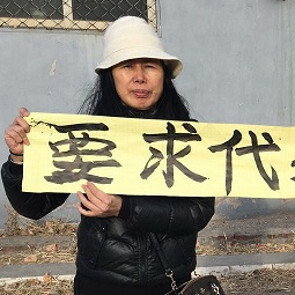 Li Xiaoling is a long-time defender of the rights of petitioners, prisoners, and other individuals marginalized or targeted by Chinese authorities. She has been involved in numerous campaigns to raise the profile of Chinese petitioners, to call attention to government rights violations, and to publicize information on government assets.